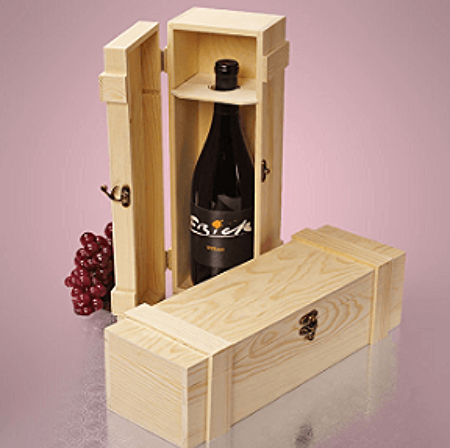 Wood Wine Hinged Boxes are a great way to give various types of bottles with liquids of any kinds for any occasion. 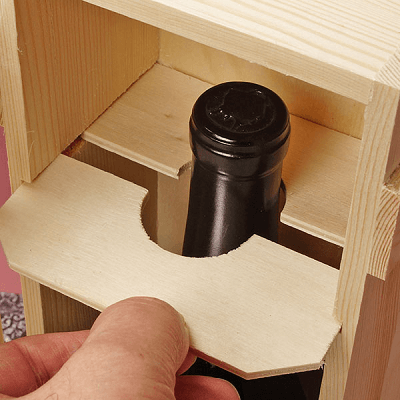 An insert is included to aid in keeping the bottle in place when transporting and storing. Not only is it great for liquids, try adding tools for dad on Father's Day. 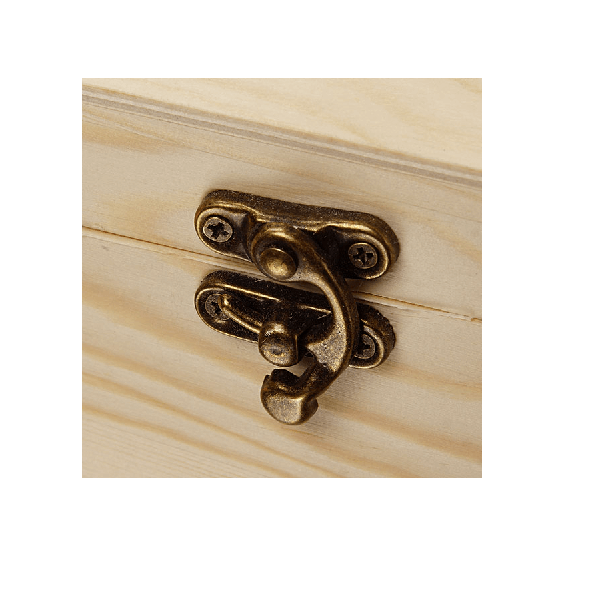 This pine wood display includes a swing lock latch made of metal. The box is hinged to make it easier to open and close. Add a more charming natural style to gift giving. Order yours today at all Candy Containers. Fits most standard size wine bottles. 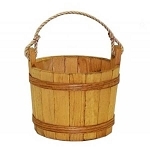 Has a wooden insert to hold bottle in place. Interior measures: 13 1/4" x 3 7/8" x 3 5/8"